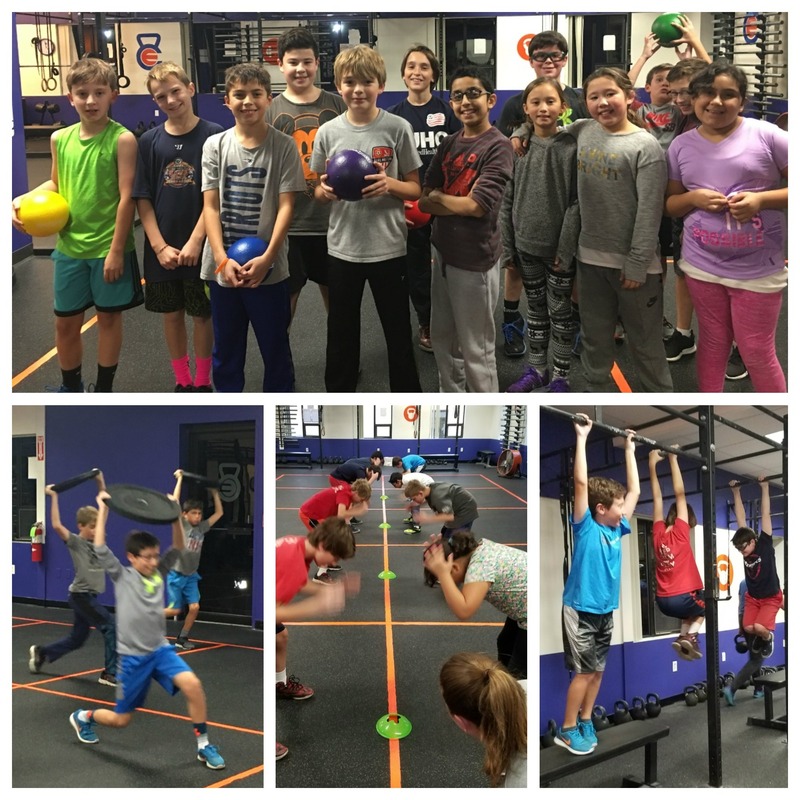 Our CrossFit Kids Certified Trainers use a combination of skill practice, workouts and games to build strength and conditioning in children and teens. Classes include elements of gymnastics, body weight movements, running, jumping and more—all geared toward kids! • Teaches teamwork and leadership skills. • Teaches basic nutrition concepts and healthy habits. • Builds self esteem and confidence. CrossFit Kids classes are held on Mondays & Wednesdays at 4:00 PM. Please contact us at 781.272.2900 or [email protected] to reserve your spot or for more information. *We understand that each child is different, so if your child is on the edge of an age-range, we are definitely open to talking about them moving up or down depending on what works best for them. CrossFit Exclamation is a registered CrossFit Kids facility. This means our coaches and facility are licensed & qualified to coach all CrossFit Kids & CrossFit Teens programs from 3–17 yrs. Work out with your friends, have fun, and stay fit with our 4-week CrossFit Kids special programs for ages 8-12. CrossFit Kids classes are held Mondays and Wednesdays at 4:00.